Recently I read the first two books in a young adult series, Sherlock, Lupin & Me, which imagined Sherlock Holmes, Arsene Lupin, and Irene Adler as childhood friends. (Thoughts on the first book, The Dark Lady, here.) I enjoyed the two books, and I’m sure to enjoy the next two (which are the only books in this series translated into English), but I realized: except for one story, “Sherlock Holmes Arrives Too Late,” I was wholly unfamiliar with Arsene Lupin. Lupin was the creation of the French writer, Maurice Leblanc, and Lupin was, like E.W. Hornung’s A.J. Raffles, a “gentleman thief.” The story I mentioned, “Sherlock Holmes Arrives Too Late,” was reprinted in Ellery Queen’s The Misadventures of Sherlock Holmes, though Holmes was renamed for reasons of copyright. 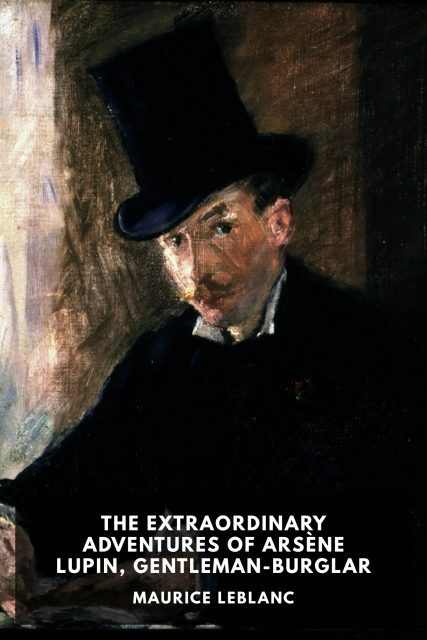 I decided to rectify this lapse in my knowledge, and I turned to Standard Ebooks, which has five of Leblanc’s Lupin books as impressively formatted free ebooks, and downloaded the first book, The Extraordinary Adventures of Arsène Lupin, Gentleman-Burglar. I think I expected something akin to the Raffles stories — generally serious stories, though with comic moments. I did not expect out-and-out farce. The stories in The Extraordinary Adventures are funny. Laugh out loud funny. Lupin isn’t just a thief. He’s a criminal genius and a meticulous planner. His frequent foe, Ganimard, is no slouch, either, but Lupin is just one step ahead of him. Lupin has a code of ethics — he never punches down — and he steals not so much for the financial rewards in theft but instead for the thrill of it. And, of course, the acclaim in the press. The greater the challenge, the greater the chance of acclaim, the more committed Lupin is. The Lupin stories have their Watson, their Bunny Manders, a writer who makes Lupin’s acquaintance (in a tale midway through the book), though unlike Watson and Bunny, Lupin’s narrator is not involved in Lupin’s adventures. The narrator’s voice is full of charm and admiration for Lupin as a person, which makes reading the stories a delight. The second, book, Arsene Lupin Versus Herlock Sholmes — the name changed for copyright reasons — is an actual novel rather than a short story collection. I’m tackling that next. Now, one reason I read The Extraordinary Adventures was to see how accurate the character in the two books of Sherlock, Lupin & Me is to Leblanc’s original. And, based on The Extraordinary Adventures, many liberties were taken. “Sherlock Holmes Arrives Too Late” makes clear that Holmes and Lupin are not at all close in age; Holmes is around 50, so it’s late in his career, while Lupin is a much younger man. Another story, “Madame Imbert’s Safe,” makes clear that “Arsene Lupin” isn’t even Lupin’s real name. These facts aren’t impossible to reconcile with Sherlock, Lupin & I, but much squinting is required. I think I’ll continue with Leblanc’s books, at least the ones Standard Ebooks has available. 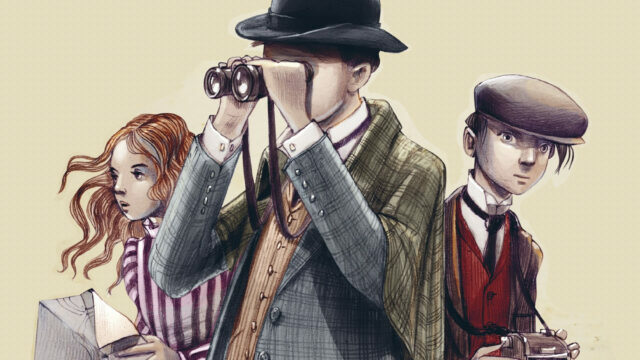 For a Sherlockian, they present a different view of the Great Detective, and, based on The Extraordinary Adventures, they’re fun to read in their own right.